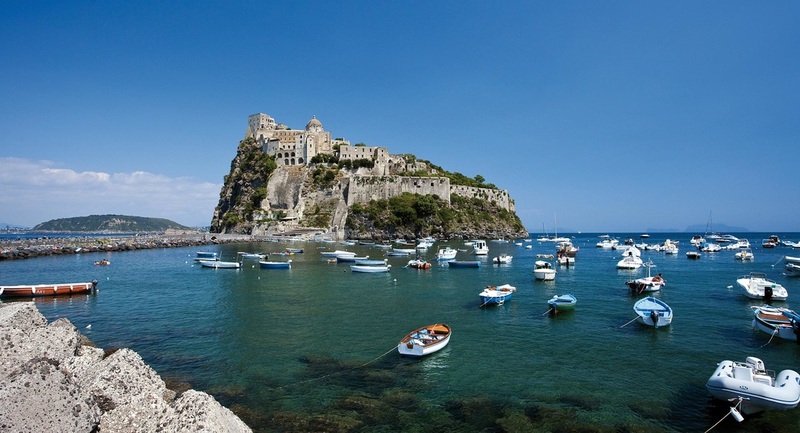 Ischia is known as the Emerald Island because of its luxuriant vegetation. The island is renowned as one of the most important healing centers in the whole Mediterranean and for its sea and its remarkable spa resources. 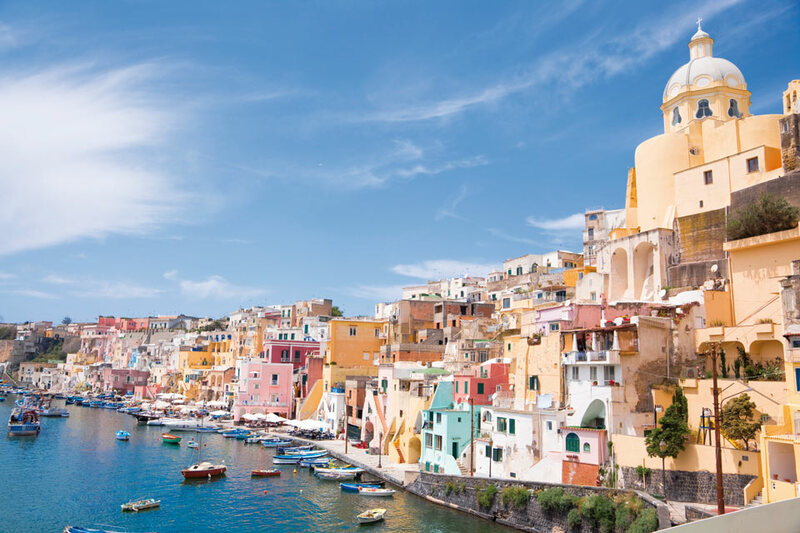 Golden beaches, social life, excellent food, relax and wellbeing can all be found on the sun splashed spa retreat shores of Ischia, making it a pristine superyacht destination worth stopping by. 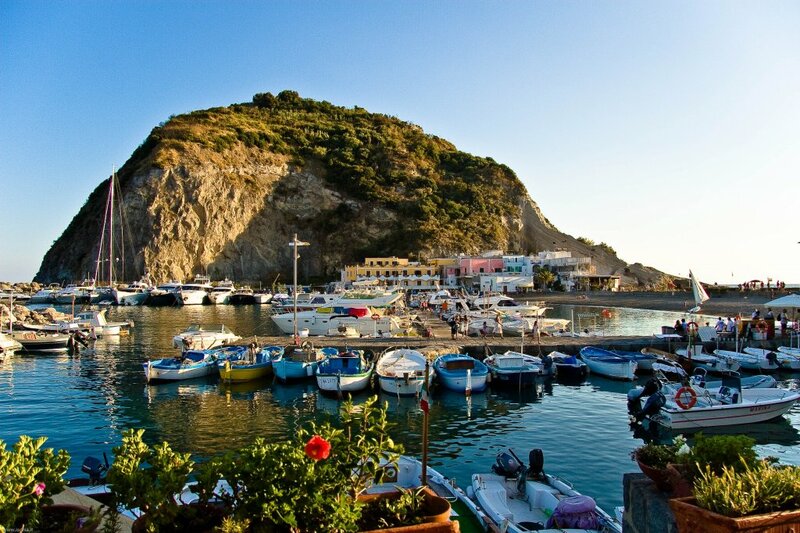 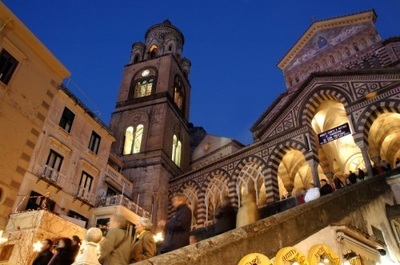 We recommend to visit Sant'Angelo, a small and picturesque fishing village south of the island. 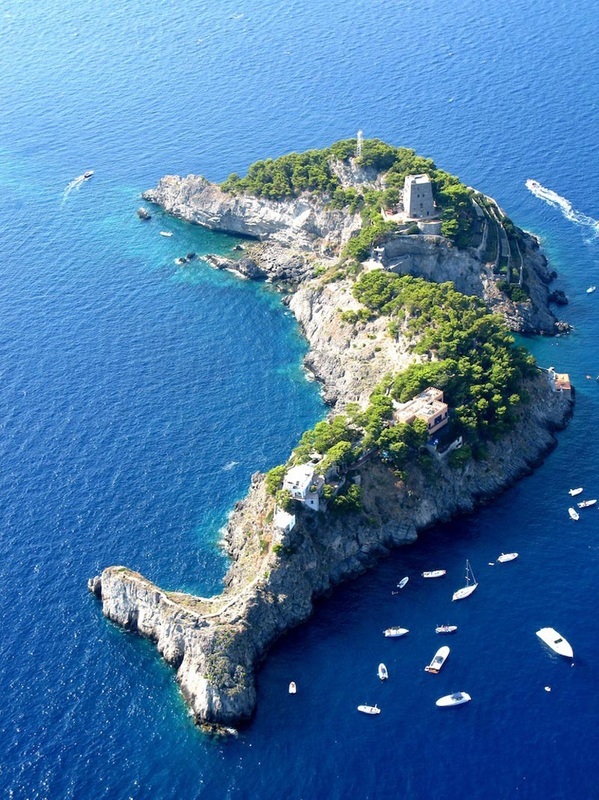 This place is an idyllic treasure, bounded on one side by soaring cliffs which meld beautifully into crystal clear waters. The village boasts a variety of ceramic shops and cafes on the main little square. Worth to be mentioned is the Aragonese Castle, the most impressive historical monument of Ischia. 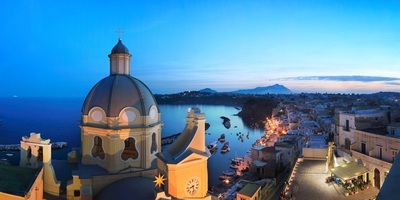 Among the islands of the Gulf of Naples, Procida is without doubt the farther from the mass tourism routes. 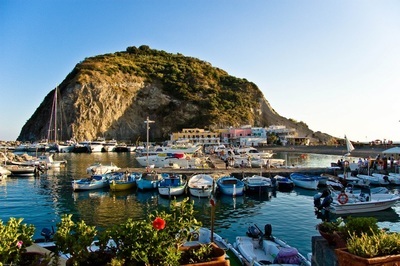 A fishing port whose roots date back to the ancient traditions of the Greeks and the Romans and still lives on, in the seaside village of "La Corricella", where you can walk along the waterfront and watch the fishermen mend nets. 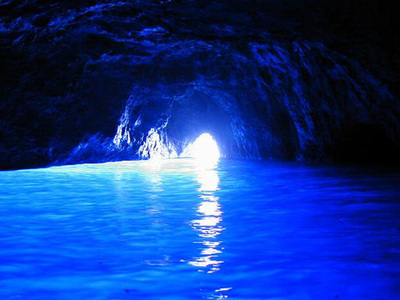 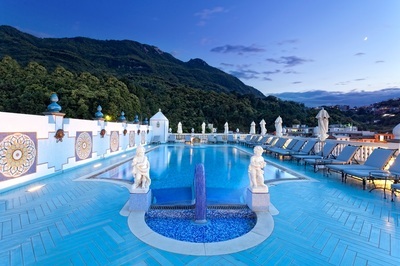 Its position is very close to the islands of Ischia and Capri and to the Amalfi area. 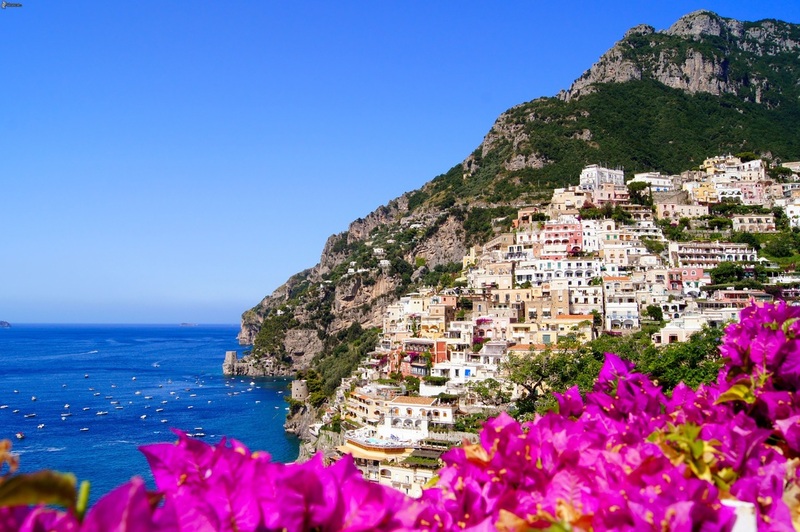 Along the spectacular Amalfi Coast, the splendor of the scenery is more than matched by the warmth and charm of the people. 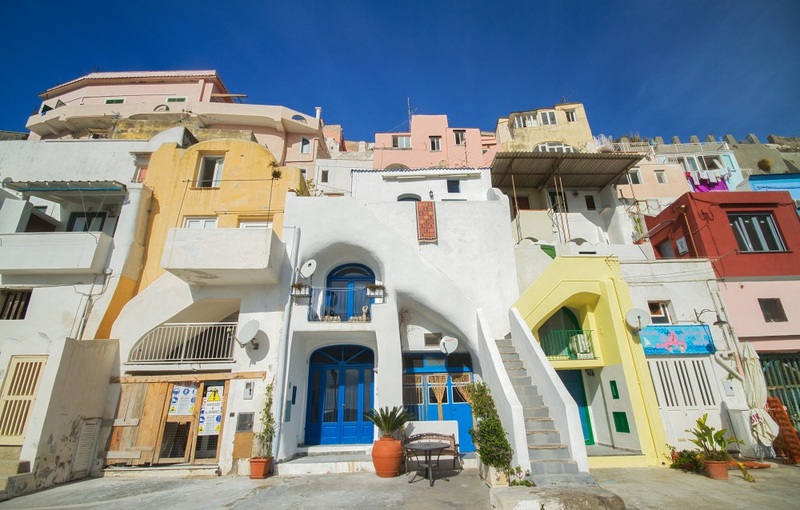 The hillside is clustered with village houses lively and colorful painted. 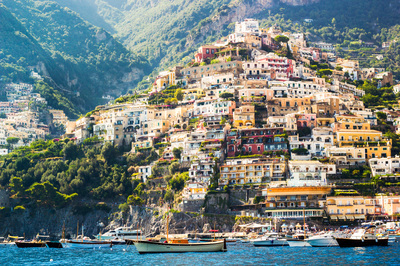 You can explore the coastal towns of Positano & Amalfi with their Moorish cupolas. 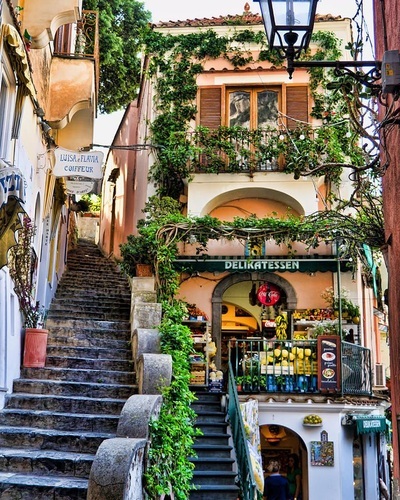 Positano is linked with a network of steep streets which rise up and down the town where you'll find all kinds of small ateliers and boutiques offering what is known around the world as "Positano Fashion". The town is also famous for its handmade sandals. 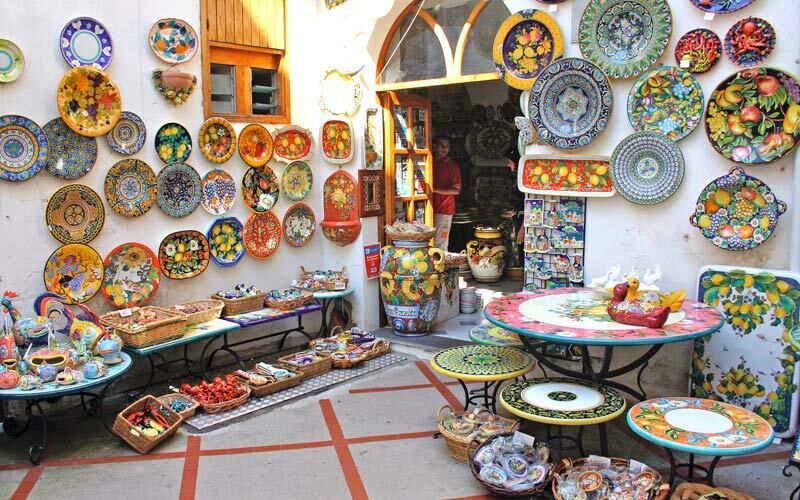 Some of the artisan shops will make them for you while you wait. 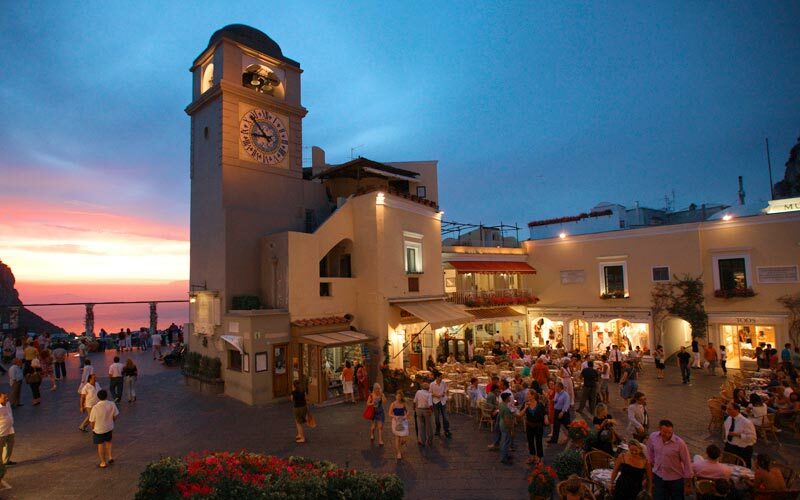 You can also visit the countryside on the Sorrento Coast with its vineyards, lemon grooves and ancient ruins.